Tractor Transport ships farm equipment between any two locations in the US, Canada or Mexico. 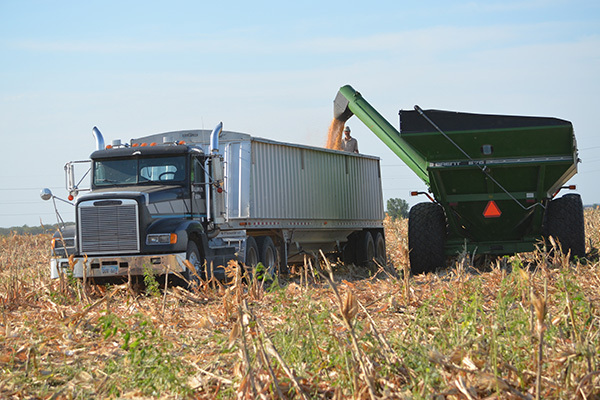 From the biggest combine to the smallest tractor, Tractor Transport takes special care of your cargo. We work exclusively with professional heavy-haul operators who know how to handle farm equipment. Our trained logistics professionals make sure your load arrives on time, and in the same shape in which it departed. For farm equipment transports you can depend upon, contact Tractor Transport today. Licensed, bonded and insured – you can trust Tractor Transport to haul your air seeder to it's new location. 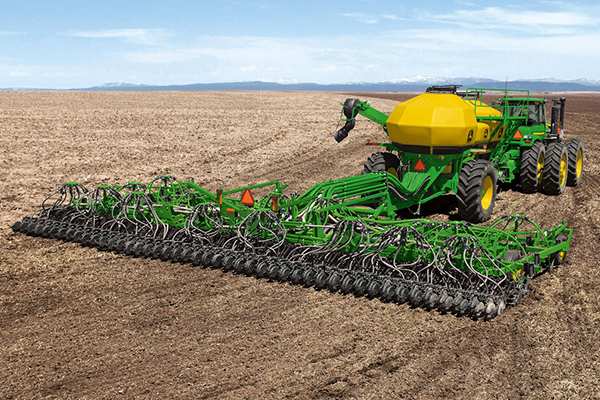 Seeders have long booms that fold in, but they’re still too large for flatbed trailers. Height can be more of a problem than length so they are best suited for either Step Decks or RGNs. Long distance or local, Tractor Transport is your trustworthy source for farm equipment shipping. Call us and speak with an experienced agent today. 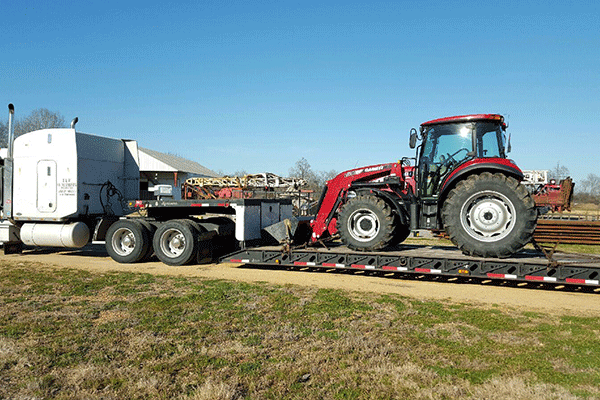 Speak with Tractor Transport about hauling your hay equipment to its next work destination. Ask us to ship your balers anywhere in the nation, plus Canada and Mexico. Hay baling equipment usually travels on step-deck trailers. Although some balers fit on the upper deck, saving you money as a partial load. 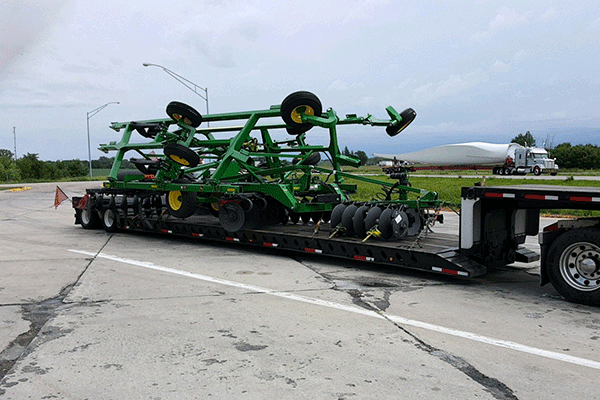 When you need equipment hauled, think Tractor Transport. Call us today to learn why. 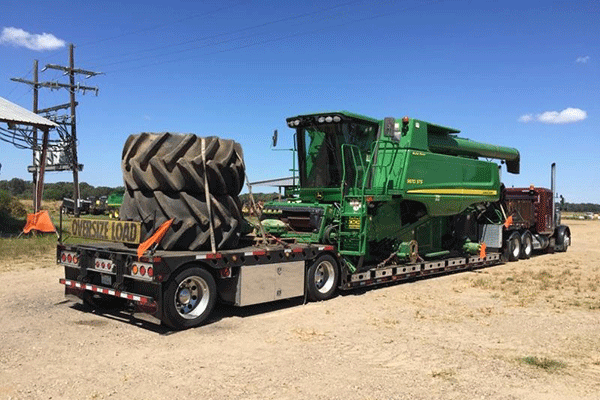 Hire Tractor Transport to haul your combine to its next workstation anywhere you want it in the US, Canada or Mexico. Our experienced drivers know how to handle your valuable piece of machinery. 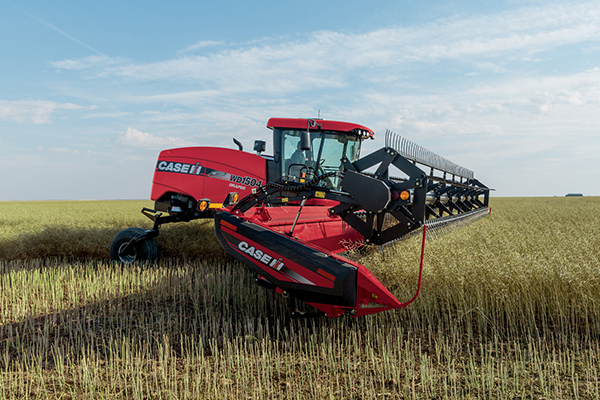 Does your extra-wide combine require outriggers for shipping? No problem, we’ll take care of it. 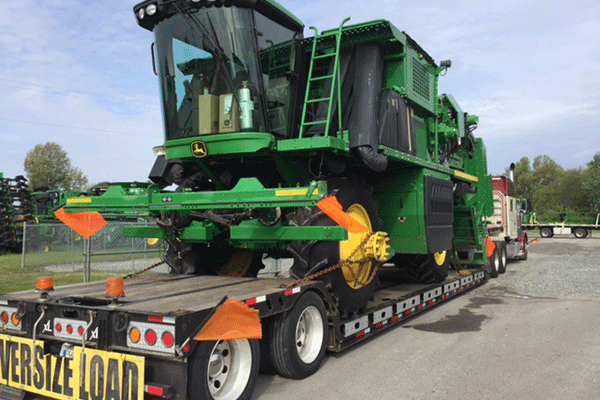 Choose us to haul your combine directly from the factory, farm or equipment sale. For transports you can trust, call Tractor Transport today. Contact Tractor Transport to transport your cotton picker anywhere in the US, Canada or Mexico. 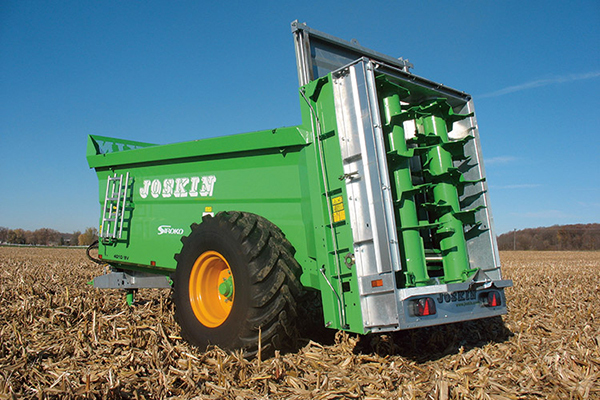 Cotton pickers require specialized RGN trailers that can handle their bulk. You might need a multi-axle RGN trailer. We know logistics so trust our experienced farm-equipment shippers to handle your machine with the care it deserves. For safe transport of your cotton picker, call the logistics experts at Tractor Transport. Select Tractor Transport to ship your farm or grain truck for your farm anywhere in the US, Canada or Mexico. Our experienced drivers know how to handle your valuable piece of machinery. Your farm & grain trucks can safely ship to their new destination on a RGN (Removable Goose Neck) trailer. Long distance or local, Tractor Transport is your trustworthy source for farm equipment shipping. Speak with an experienced agent today. 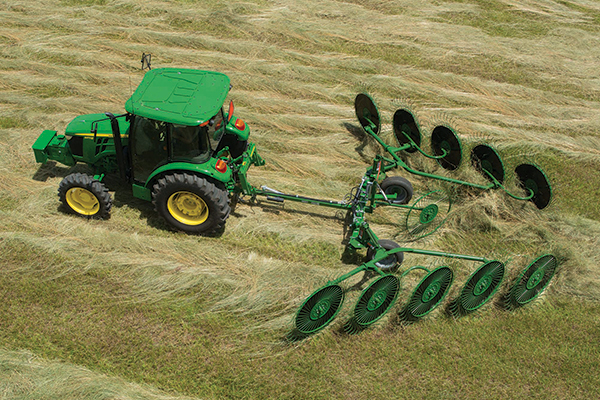 Choose Tractor Transport to haul your forage harvester directly from the factory, farm or equipment sale. Walk-behind harvesters ship aboard flatbed trailers while large field harvesters need the added clearance and heft of an RGN trailer. 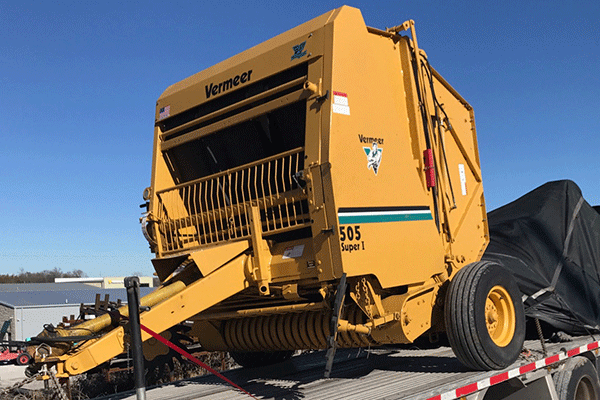 Local transport or across the country, we can ship your farm equipment anywhere you want it in the US, Canada or Mexico. For transports you can trust, call Tractor Transport today. Long distance or local, Tractor Transport is your trustworthy source for hay rake shipping. Smaller hay rakes fit on flatbed trailers but larger hay rakes, which are hard to load, fold up for transport on RGNs. Our experienced drivers know how to handle your valuable piece of machinery. Long distance or local, Tractor Transport is your trustworthy source for farm equipment shipping anywhere you want it in the US, Canada or Mexico so call us today. Choose Tractor Transport to ship your farm equipment headers anywhere in the nation, plus Canada and Mexico. 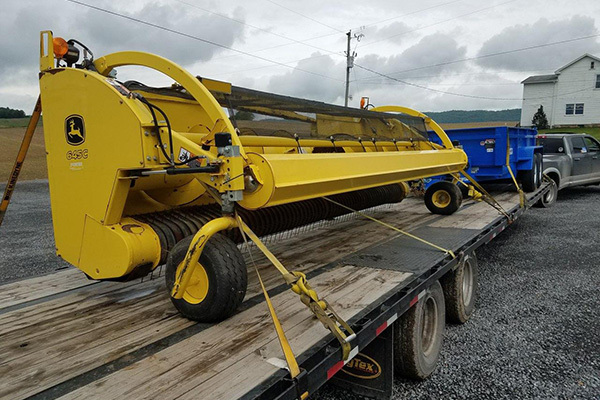 Depending upon the size and shape of your header, either a flatbed trailer or a step-deck trailer should get the job done. 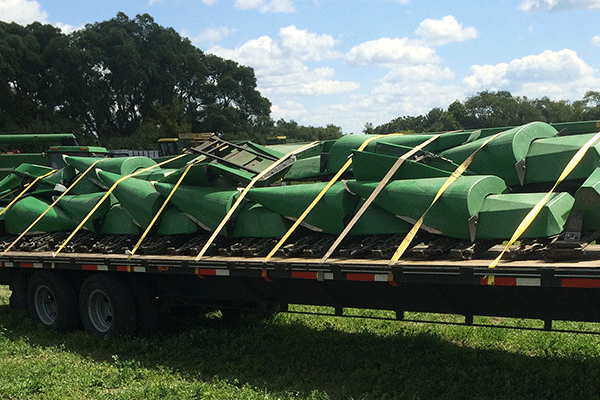 Ask about using a hotshot trailer to ship your farm header, maybe save some money. Options for shipping headers are plentiful, call Tractor Transport today to discuss the shipping of your farm header. 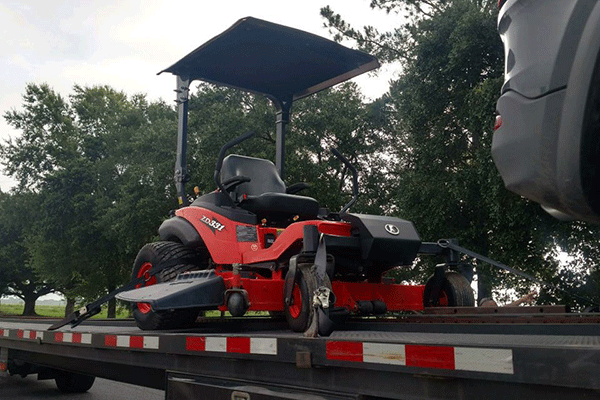 Speak with Tractor Transport about hauling your irrigation equipment to its next work destination anywhere you want it in the US, Canada or Mexico. 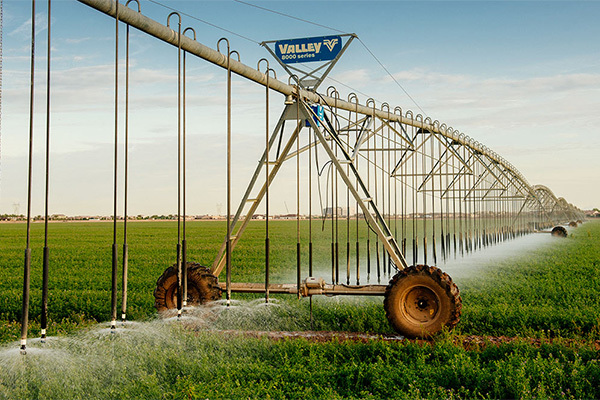 The irrigation equipment part size determines the trailer that will be needed to haul the equipment. Our experienced drivers know how to handle your valuable piece of machinery. When you need equipment hauled, think Tractor Transport. Call us today to learn why. Licensed, bonded and insured – you can trust Tractor Transport to haul your loader to it's new location. Self-propelled loaders travel on step-deck trailers or RGN trailers, so they can be driven aboard. RGN trailers handle taller and heavier models. When you need equipment hauled, our logistic professionals are trained to handle the move. Long distance or local, Tractor Transport is your trustworthy source for farm equipment shipping. Call us today. 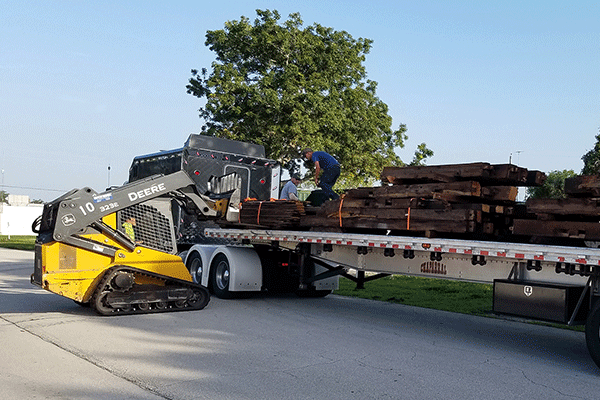 Hire Tractor Transport to haul your lumber to its next jobsite anywhere you want it in the US, Canada or Mexico. Our experienced drivers know how to handle this valuable construction material. Most lumber transports fit on a flatbed trailer but if your transport needsa bigger trailer, no problem, we’ll take care of it. When you need lumber hauled, think Tractor Transport. For transports you can trust, call us and speak with an experienced agent today. Long distance or local, Tractor Transport is your trustworthy source for shipping your manure spreader. Walk-behind spreaders ride on flatbed trailers while self-propelled spreaders are large enough that you’ll want to ship them on RGNs trailers. Our experienced drivers know how to handle your valuable piece of machinery. For safe transport of your manure spreader, call Tractor Transport and speak with an experienced agent today. Choose Tractor Transport to haul your mower directly from the factory, farm or equipment sale. Our experienced drivers know how to handle your valuable piece of machinery. Mower attachments usually don’t exceed any dimensional limits. Large mower attachments are folded together and with no tires, they are loaded horizontally and not vertically and can fit on a flatbed. When you need equipment hauled, call Tractor Transport. 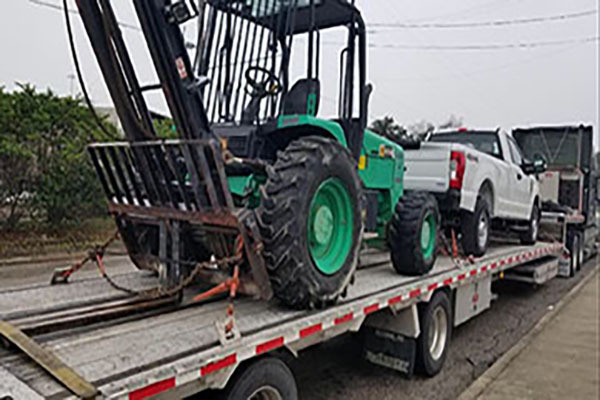 Licensed, bonded and insured – you can trust Tractor Transport to haul your plow to it's new workstation anywhere you want it in the US, Canada or Mexico. Walk-behind plows travel safely on flatbed trailers. Smaller self-propelled plows require step-deck trailers, unless you have access to a dock. Our agents can handle any type of equipment either dead or alive. Call Tractor Transport and speak with an experienced agent today. 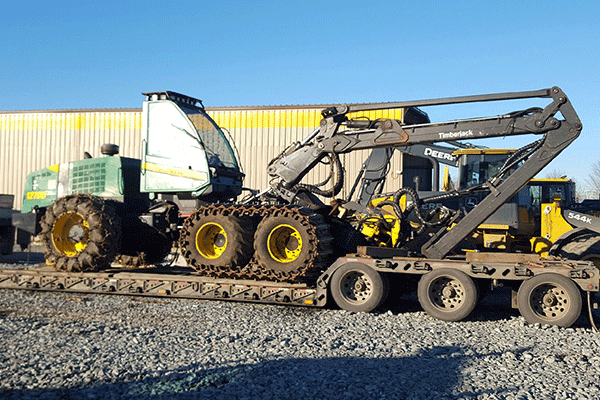 Hire Tractor Transport to haul your skidder to its next workstation anywhere you want it in the US, Canada or Mexico. Our experienced drivers know how to handle your valuable piece of machinery. Smaller skideers fit on flatbed trailers, larger skidders travel on step-deck trailers. Choose us to haul your skidder directly from the job site or equipment sale. For transports you can trust, call Tractor Transport today. Select Tractor Transport to ship your sprayer equipment for your farm anywhere in the US, Canada or Mexico. 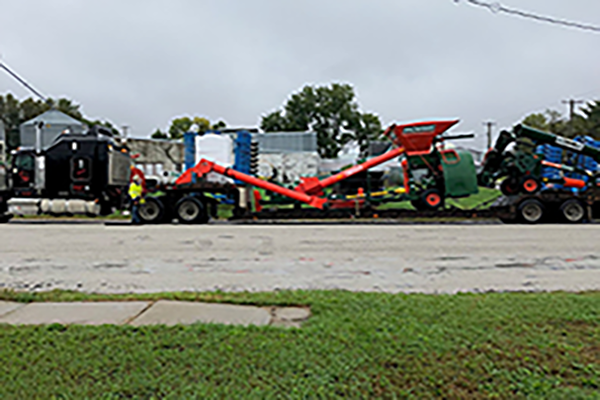 Most equipment used for applying water, fertilizer or pesticides is shipped on a flatbed trailer. Larger, self-propelled machines, such as floater trucks, require step-deck trailers for transport. 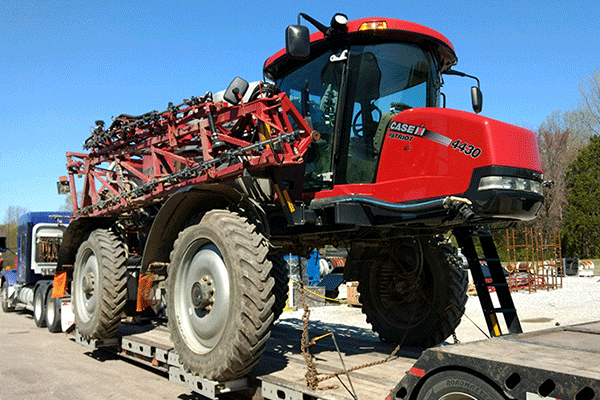 We’ll haul your spray booms too. Call Tractor Transport today to discuss shipping your application equipment. 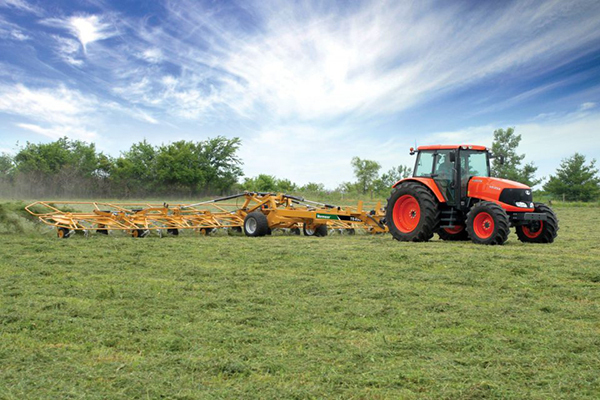 Long distance or local, Tractor Transport is your trustworthy source for swather shipping. Self-propelled swathers usually require RGNs, but if you take off the wheels, and it might fit on a step deck-trailer. 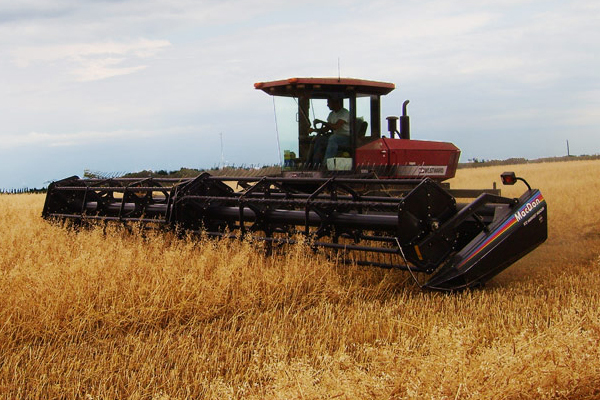 Tractor-mounted swathers, however, offer height problems. When folded for travel, they’re often more than 9-feet tall. An RGN, or at least a step-deck with ramps, usually is required. When you need equipment hauled, call Tractor Transport today. Ask Tractor Transport to haul your tedders wherever you need it next. Our logistic professionals can handle any type of hay equipment to anywhere in the US, Canada or Mexico. Tedders often require the extra clearance offered by step-deck but that's not a problem, we’ll take care of it. Our experienced drivers know how to handle your valuable piece of machinery. For transports you can trust, call Tractor Transport today. Trust Tractor Transport to ship your farm tractor anywhere you want it in the US, Canada or Mexico. Smaller tractors fit on flatbed trailers, larger tractors travel on step-deck trailers. Ask us to ship your tractor directly from the dealer or the auction house. Long distance or local, Tractor Transport is your trustworthy source for farm equipment shipping. Speak with an experienced agent today. Licensed, bonded and insured – you can trust Tractor Transport to haul your windrower to it's new location. Our logistic professionals can handle any type of equipment to anywhere in the US, Canada or Mexico. We can move all types of farm equipment either dead or alive. Long distance or local, Tractor Transport is your trustworthy source for farm equipment shipping. Call us and speak with an experienced agent today. 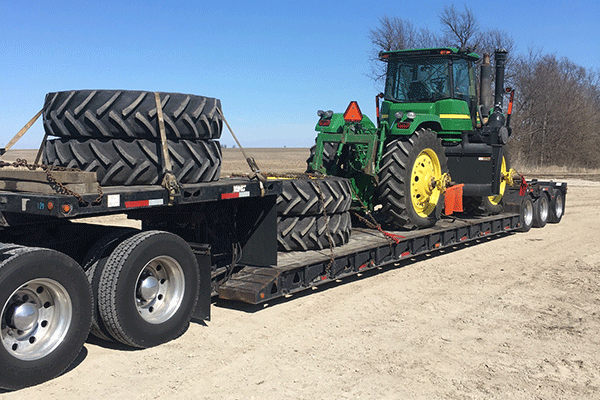 Tractor Transport is well-known in the North American agricultural industry as being a dependable and versatile hauling service. 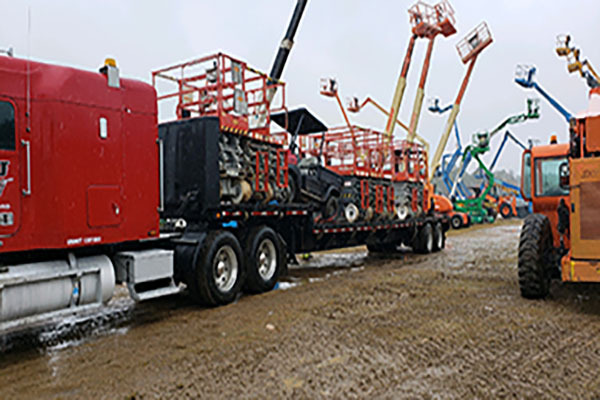 We understand the logistics and needs of farmers and contractors to move specialized equipment from Mexico to Canada, and anywhere across the United States. Trust us to ship your dry grain bagger where you want it when you want it. Speak with one of the experienced logistics professionals at Tractor Transport today. Tractor Transport ships all types of wood chippers and grinders. Speak with one of our logistics professionals to arrange efficient and affordable shipping. Your representative shops for the best rates for you, dispatches your load when you're ready, and shepherds your transport to a successful conclusion. Let's begin our relationship today. When it comes to relocation of your heavy equipment, you don't need to overthink; tractor transport is the best company to think of. We are the leaders in the transportation industry, and we have been dispatching agricultural supplies farming equipment and construction machinery since 2009. Speak with an experienced agent today. Are you in need of scissor lift towing technicians to tow your scissor lift? Tractor transport are the only professionals with the ability to service your scissor lift. Long distance or local, Tractor Transport is your trustworthy source for swather shipping. Contact us on (877) 373-0109 and give us a chance to offer the best towing services for your scissor lifts.